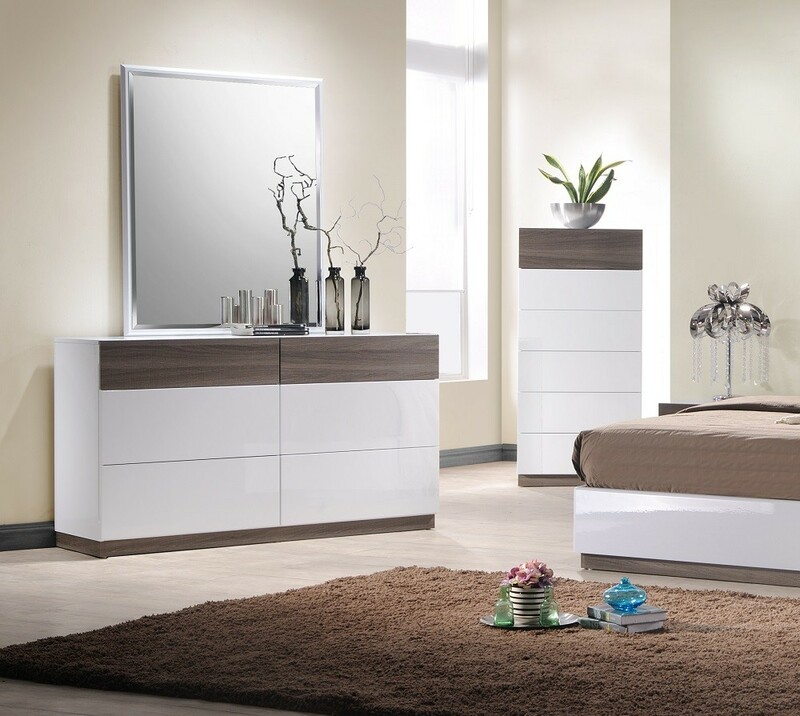 Sanremo B bedroom set in an elegant two tone finish perfect for any modern and contemporary home. 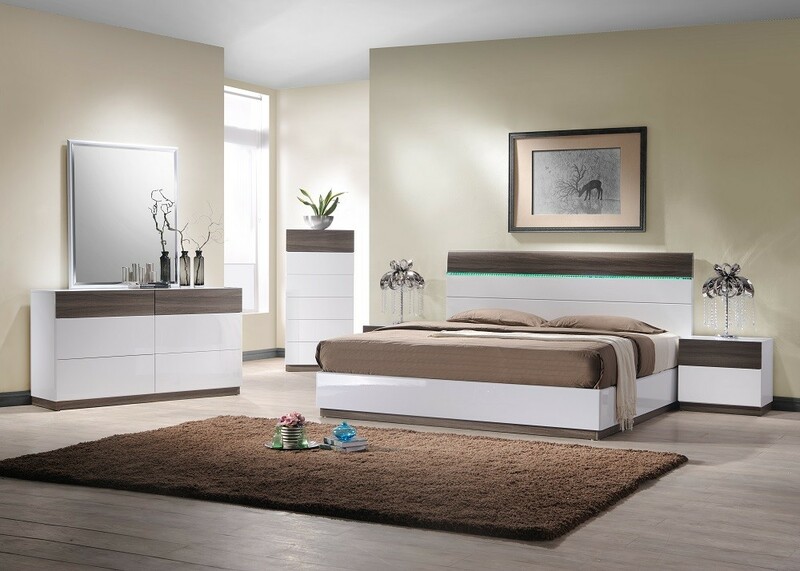 White lacquer and walnut finish on a platform bed accented with LED lights. Matching dresser, nightstands and chest include large smooth closing drawers.